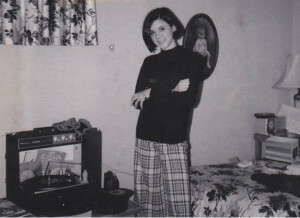 This multimedia empire began with $400 and a young woman brave enough to knock on doors. Orchestrating web, retail, non-profit, written and radio forums, Kerry McCoy Enterprises now umbrellas Flag and Banner, Dreamland Ballroom, Brave Magazine, and Up in Your Business radio talk show. Originally from North Little Rock, Arkansas, Kerry McCoy moved to Dallas Texas after high school to attend Miss Wades Fashion Merchandising School. 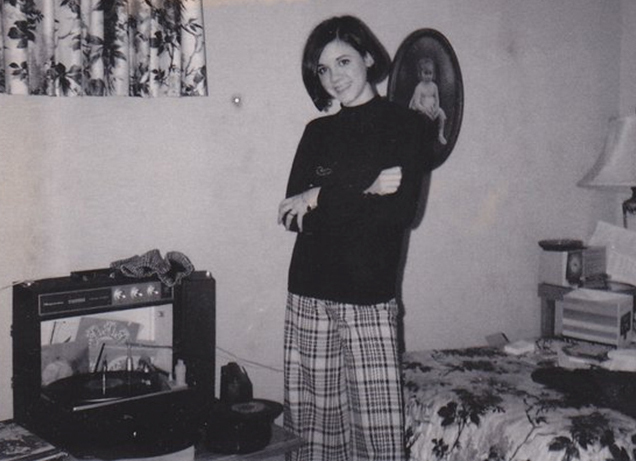 She graduated from the one year vocational school during the 1974 recession and was unable to find a job in her field. She quickly, discovered her newly earned degree in Fashion merchandising was useless during an economic downturn. When money is scarce, everyday people don’t spend it on clothes. Out of necessity, she decided any job would do. Her intent was to stay in Dallas until the fashion industry rallied. 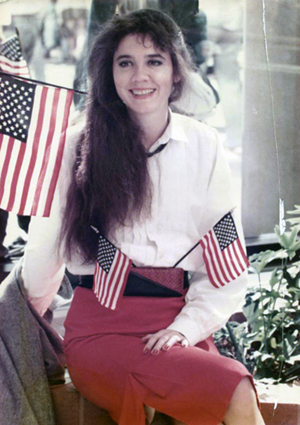 Through an employment agency placement, she began selling flags for a company called Betsy Ross Flag Girls. During a visit to Little Rock, Kerry checked the Yellow Pages to see the feasibility of opening her own flag company back home. To her surprise, Little Rock was virgin flag territory. 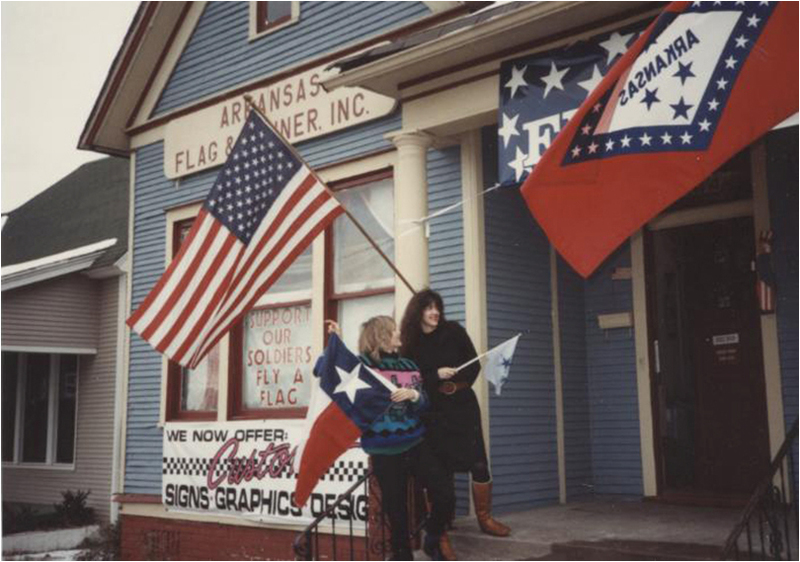 In 1975, Arkansas Flag and Banner was started with Kerry’s $400 life savings. She used that money to purchase a business permit, business cards and order forms. 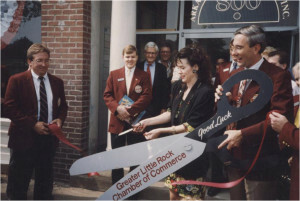 Many of the early days were spent distributing her cards to Central Arkansas businesses and selling flags door-to-door. With a rise in gas prices Kerry found it necessary to move her company towards a telemarketing sales strategy. She now spent most of her days making phone calls rather than in her car. In 1979, she became a new mother, which presented an opportunity to reinvent her company again. A mail order and catalog sales strategy was enabling her to operate from home. It was during this time that Arkansas Flag and Banner began to solely support Kerry. Soon additional employees were hired and an office was needed. Knowing her mother had some vacant rental property, she asked her for a rent-free year in exchange for minor repairs and paint. Her mother agreed. 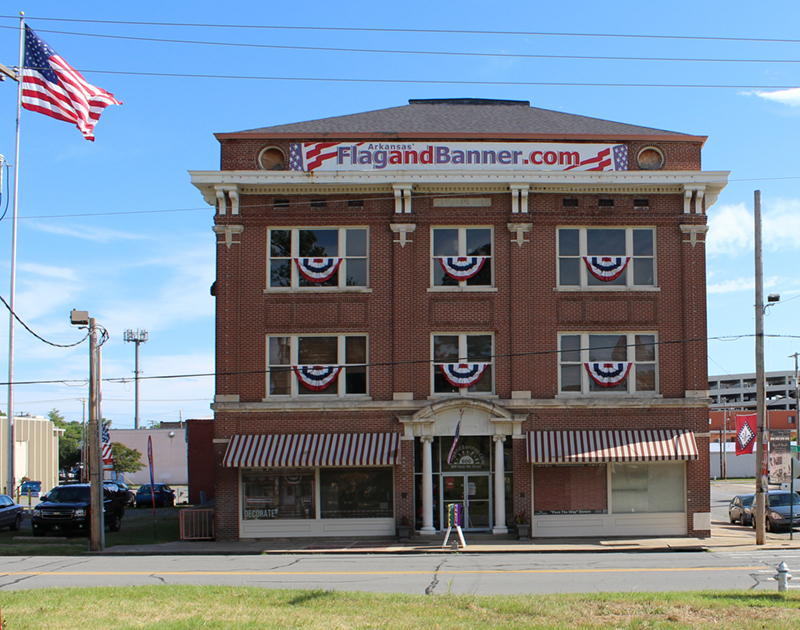 Arkansas Flag and Banner now had the needed office space for growth. And grow it did! As sales volume increased, her vendor’s production time of custom-made flags grew longer and longer. A manufacturing niche in the market became apparent. Kerry bought a used industrial sewing machine and hired a seamstress. Custom flag delivery time shrank and customer base grew. It was a win-win for everybody. The business experienced its first patriotic fervor in 1990 with the announcement of The Gulf War by President George H.W. Bush. Flags were in high demand and scarce. 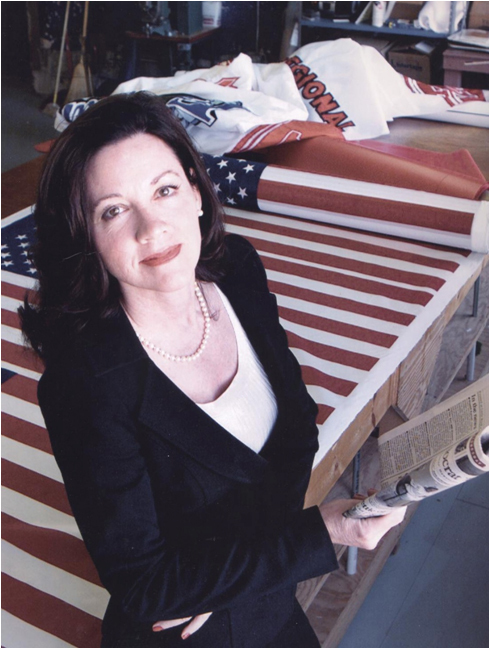 To meet this new consumer demand for US flags, Kerry expanded her manufacturing to include screen printing. Once again necessity dictated more space. While driving on the freeway to work each day, Kerry noticed a stately old red brick building falling into disrepair. 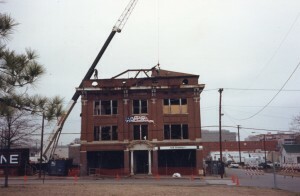 With extra money in the bank and the need for more office space she began the long process of buying the building known as the Taborian Hall. The old building that had caught her eye had its own place in history. Built in 1916 by the Knights and Daughters of Tabor. This benevolent, business fraternity played a major social role in the lives of African Americans in the early 20th century. The Taborian Hall had another claim to fame, it housed the Chitlin Circuit’s famous Dreamland Ballroom. During the first half of the 20th century the Dreamland hosted legendary entertainers such as Duke Ellington, Ella Fitzgerald, Etta James, Redd Fox, BB King, Louis Jordan, Sarah Vaughn and more. 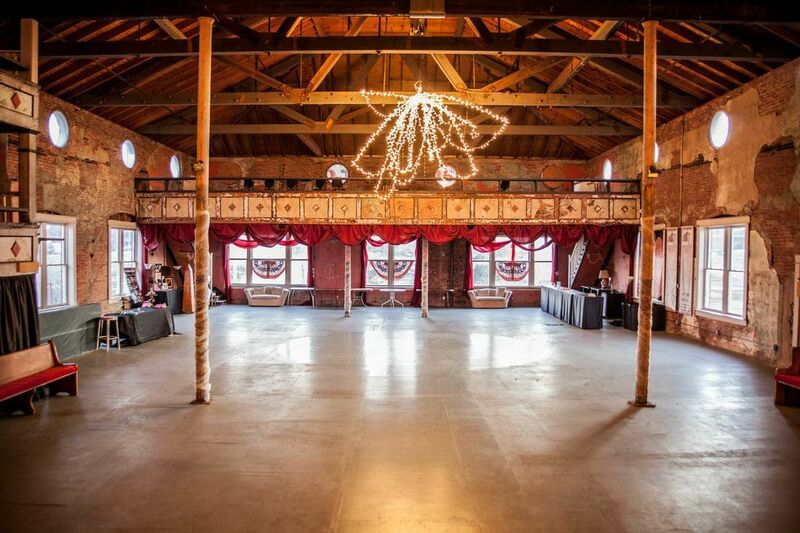 It now stands as one of the few ballrooms left in America and has been placed on the National Historic Register. Ironically, in the midst of restoring history, Kerry McCoy also jumped into the future. In 1995, while attending a luncheon, she heard about a new sales platform called the Internet. Within days Arkansas Flag and Banner entered the emerging Dot Com community. The business is now known worldwide as simply FlagandBanner.com with roughly 30% of current sales coming from e-commerce and over 22,000 products available to buy online. The beginning of e-commerce was not easy. Consumers were leery of entering their credit card information online. But on 9.11, with the fall of the Twin Towers in New York, America came together under one flag…. The American Flag. The fear of online shopping fell with the instant surge of patriotism. Flags sold out across the country. 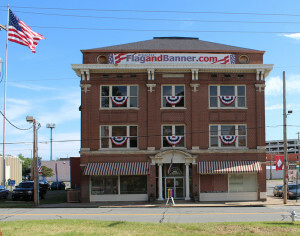 In response to consumer requests for Red White and Blue on everything, a retail store on the first floor of the Taborian Hall aka Flag and Banner’s headquarters was opened to the public. This boutique boasts “More Than Just a Flag Store” with patriotic decorations, home and garden decor, clothing, jewelry, toys and more. 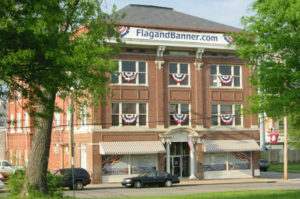 All inventory was made available to purchase online, making FLAGandBANNER.com a global store. 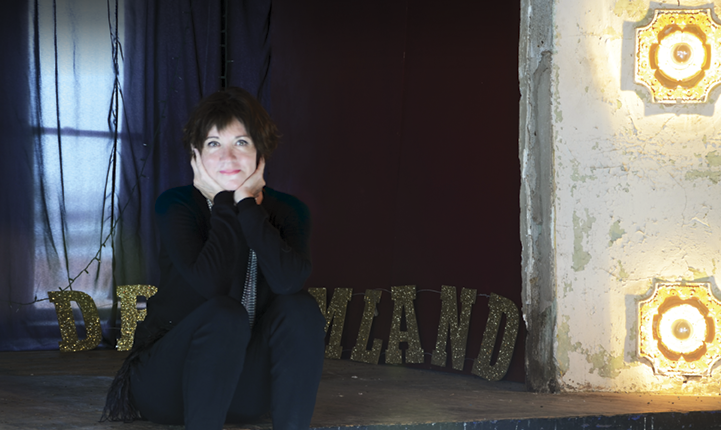 After 20 years of renovating the Taborian Hall, Kerry realized the renovation of the Dreamland Ballroom would always be beyond her budget. Therefore in 2009, she petitioned nonprofit status to create the Friends of Dreamland Ballroom in hopes of saving and protecting its legacy. Arkansas’ local PBS station, AETN recognized the significance of Dreamland’s place in history and produced a documentary “Dream Land: Little Rock’s West 9th Street” which premiered in April of 2017. In addition, the University of Arkansas at Little Rock helped publish a history book, The Temple of Dreams, which is now available for purchase on line. 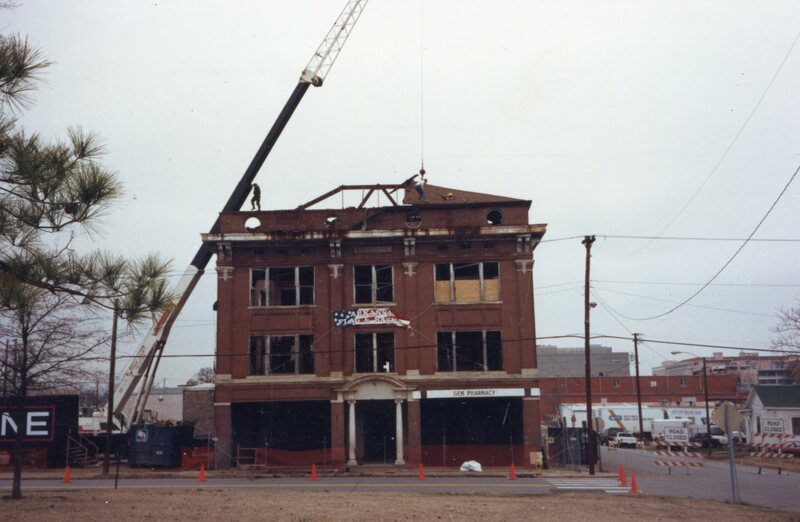 In 2018, the Friends of Dreamland Ballroom was awarded a Civil Rights Preservation Grant by the National Parks Service, a gift that would facilitate the construction of an elevator extension to make the Dreamland Ballroom more easily accessible to the public. In the true spirit of entrepreneurship, Kerry looks for opportunities everywhere. During the Flag and Banner staff meetings, she noticed there was always someone sharing a customer’s story of inspiration. It happened with such regularity, that she began to think AFB should share the stories with other people through a self-published magazine. When she mentioned this idea to her employees, they loved it! 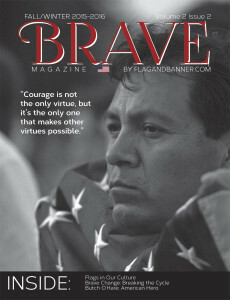 That night, one of them had a dream that it would be called BRAVE Magazine. In the fall of 2014, the first bi-annual edition of BRAVE was distributed to 8,000 flag customers statewide in Arkansas. Due to her leadership, community involvement, longevity in a growing business and her uncanny approach-ability, Kerry is often asked for business advise. One week it happened 3 times. After leaving the third encounter, Kerry had an epiphany: “Pay it forward!” She leapt into action and contacted a public radio station pitching an hour long talk show that focuses on mentoring small business owners and people that aspire to own their own businesses. The radio station opened a spot for this refreshing forum and in September of 2016 ‘Up in Your Business with Kerry McCoy’ first aired. 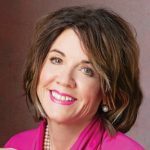 Each week she and a guest offer listeners first hand insight into starting and running a business, the ups and downs of risk taking, and the commonalities of successful people, shared in a conversational interview format. 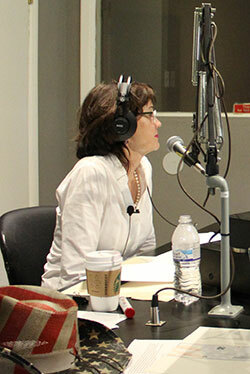 The unique radio show allows the listener intimate access into the stories, life experiences, and wisdom of her guests and how they achieved the American Dream. During the past four decades, under Kerry’s direction, Arkansas’ Flag and Banner has grown from a sole proprietor to a multi-million dollar distributor, retailer, manufacturer, and internet retailer with a multimedia presence. The product of this explosive expansion resulted in a slight identity crises. The businesses were connected, but not joined. In 2017, Kerry re-branded all of the different endeavors under the umbrella Kerry McCoy Enterprises. QUITE impressive I must say….I’m a retired tech and Eagle Scout…A few weeks ago I made a donation to the USO and got an American Flag. Miss displaying one so was planning on making a pole for my apartment from a broom handle. Today was driving home when in the front of an abandon house was a bunch of boxes full of garbage, including an American flag on a pole. Drove around block and grabbed it for the pole. When I got home I remove the flag, folded it, and will place in a “flag” reclamation box at my nutrition center. Still trying to find a good plan for a pole mount but no luck. I’m a Veteran too, USCG, 72-74. I’m on disability and really don’t want to spend $20 on a flag pole mount bracket. Keep up good work!